I covered Star Wars in last year's A to Z challenge with K is for Kenobi. 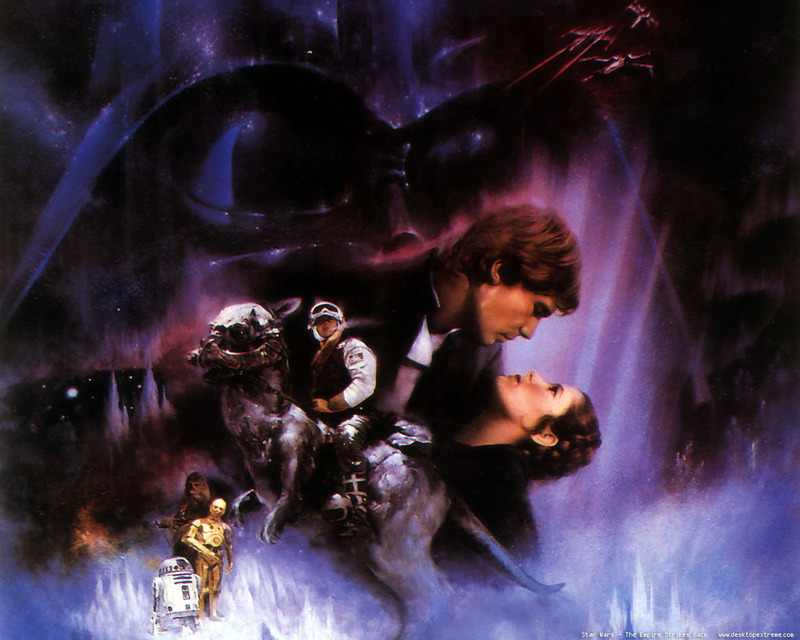 I'm trying not to repeat content but I can't really cover the A to Z of Nostalgia and not cover Empire Strikes Back. While A New Hope sealed the deal for me as a fan of Mr. Lucas's saga, Empire Strikes Back is my favorite film of all time. I have to fight back sleep watching A New Hope and spend most of my time marveling at the remake that is Return of the Jedi. But Empire has my full undivided attention. Every time I watch it. Hoth is beautiful, and while as an adult I kind of poo poo planets with one ecosystem, it fits the genre and it's cool and iconic. The snow speeder vs AT-AT (note, I never call them A, T, A, Ts, they are at,ats) battle is awesome and for some reason I really took a shine to poor Dak. Next we split everyone up and get to see some characterization. What eight year old isn't going to fall in love with Yoda. He is the ultimate example of size being a non-factor. And when your eight and someone shows you that being small doesn't mean you lack power, you truly appreciate that. Then there are the Bounty Hunters. Boba Fett, 4-LOM, IG-88, Bossk, Dengar. I still know these guys. 32 years later, I remember Bossk has two "s"'s, not one. I don't remember what I had for supper saturday! Now we are off to Bespin. Vegas on a gas giant. As I drifted off to sleep, I remembered my Cloud Car Pilot figure from Kenner and then I remembered how awesome the Cloud Car design is. Two pilots! It was orange!! And then there the moment when Han Solo draws down and shoots Vader, only to have the blaster bolts blocked! I still dig this, I wait for this scene every time I watch. At 40. We get the best exchange in cinema as Leia tells Han she loves him. And finally, there is the lightsaber duel and the big reveal. I was firmly convinced that Vader lied to Luke until the end of Return of the Jedi. In my mind, Luke Skywalker could not be Darth Vader's child. No way, no how. I was that certain of the difference in Good and Evil. And it showed my how blurry the lines truly are. There's been a lot made over the fact that the original script had Vader telling Luke that Obi Wan killed his father. If you watch Luke's dialog, he makes sense. But I remember thinking it was all a lie, then coming to grips with it and having to go retcon a lot of action figure adventures as a result.